If you’ve been curious about how to start a subscription box for your business, stay tuned for all the awesome information that I know Julie is going to share! How and where do you source items for a monthly subscription box? According to Julie, sourcing for the boxes is both crazy fun and very frustrating. Because the boxes focus on office supplies and business growth, Julie finds a lot of cool things at Target, Staples, etc. She tends to pick an item up and take it home to test the quality and to be sure it will fit the box. (Sparkle Hustle Grow boxes are only 6x9x3, so not very large.) If she doesn’t grab one, she will at least take a photo of it, capturing the item name and the price. Getting a picture of the price is important because it gives you an idea of what you would pay for the product wholesale. Most wholesale prices are 50% of the retail price. Julie also sources on Amazon and in the early days of the business, she sourced on Etsy. With over 1,300 current subscribers, it’s nearly impossible to find enough of an item on Etsy but she does strongly believe in supporting the Etsy sellers whenever possible. One of Julie’s favorite sourcing trips so far has been her trip in February of 2019 to the National Stationery Show. Going to a show like that is a fantastic way to source items, where everything is in one place. You can take a box along with you and try everything right there to see if it will work. If you’ve followed me for any length of time or taken my course, Pitch Perfect Pro, you know that you need to get the email address of the person who works on blogger campaigns to talk about doing sponsored work. But who do you talk to when you want to buy 1,300 of an item from a company? Julie reaches out to the sales and marketing department of the companies she wants to source from. And she doesn’t ask for free products to test. It’s a simple way to get her foot in the door. Julie usually sends this in an email to the sales department but if she can’t get an email address for that, she goes to the company Facebook page and messages someone from there. 9 times out of 10, the person who receives the Facebook message can send her on to the right person. Obviously, if you’re sending out over 1,300 boxes every month, you aren’t making a Target run for the products the week before you ship the boxes. Julie currently works about 3-4 months ahead of shipment dates for most items. The sheer number of each item needed means that it may take a while to get the items delivered. Some sourcing is done just weeks ahead but only for items that are easy to buy in bulk like pens or stationery. One of the benefits of sourcing several months out is that it gives you time to negotiate on price. If you’re ordering hundreds or thousands of a product, you can ask for free shipping or an extra discount. You need to plan far enough ahead so that if for some reason your shipment gets delayed, you still have time to receive it, pack the boxes, and ship them. Things happen so you need to be prepared for that. Julie’s boxes are so dang cute! I love every single one that I’ve gotten so far. I was curious about how she chooses the packaging and if she uses a company to handle all of it. Julie uses a company called GivrPack, whom she chose because of the social impact they include in each box they pack. GivrPack replaces 200% of the deforestation used in their boxes. So every box not only replaces itself; it replaces itself two-fold. Sparkle Hustle Grow previously used another company, Company Box, out of Charlotte, NC. 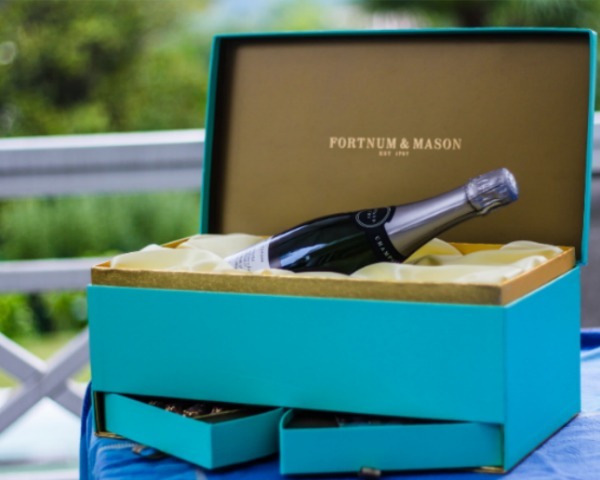 This company did great work for them and Julie was pleased but wanted to incorporate the social imprint aspect into her boxes and GivrPack offered that. You can’t miss the Sparkle Hustle Grow box when it gets delivered to you. The box is bright pink so it’s easy to see and impossible to miss. One of the questions I got from a client who is starting a subscription box service is what address do you put on the boxes when you ship them? Surely you don’t want your home address on there. Julie definitely doesn’t use her home address. They did ship their boxes from their house until they hit 450 boxes per month and then hired a warehouse to do the shipping. Because the warehouse is located in close proximity to Julie’s post office, she is able to use a PO box for the home address. If you don’t have a post office close enough to your warehouse, customers can return the boxes to the warehouse itself. As a business owner, you need a business address. You don’t want to be putting your home address on anything you send out for business if you can help it. Using a PO box has been a seamless process for Julie. What Are the Profit Margins for Subscription Boxes? A discovery box is what Sparkle Hustle Grow is. That just means that each month, the box has new items that have never been sent before. A replenishment box would be like a razor subscription or an underwear subscription, where you get the same thing every month. Another factor in profit margin is whether the box contents are purchased or created by the seller. Julie purchases 100% of the Sparkle Hustle Grow box contents so her investment is higher than someone who creates parts of the box contents. Industry standard says to aim for 30-50% profit. Some months, Julie is below that and some months she’s way below it. Every month, she has a budget going in and can predict what her profit margins will be for that month’s box. As you grow and scale your subscriber base, you will be able to get better margins on the price of the products you include in your box and that will increase your own profit margins. When you start a subscription box service, it’s important to do a prelaunch and presale. Your prelaunch is when you begin telling people that you are starting a box service, you’ve started the social media accounts, and maybe you have a landing page to gather email addresses. Ideally, you want to prelaunch as early as possible. Gather as many emails as you can because when you start the actual presale, you want those emails in your arsenal. 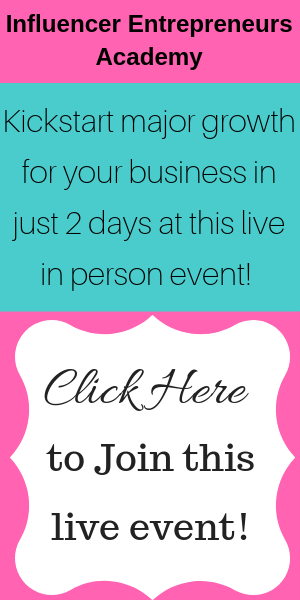 Your presale is going to be a special deal for your email subscribers. They’ve been following along and are excited about the launch so give them a chance to get in on your first shipment. 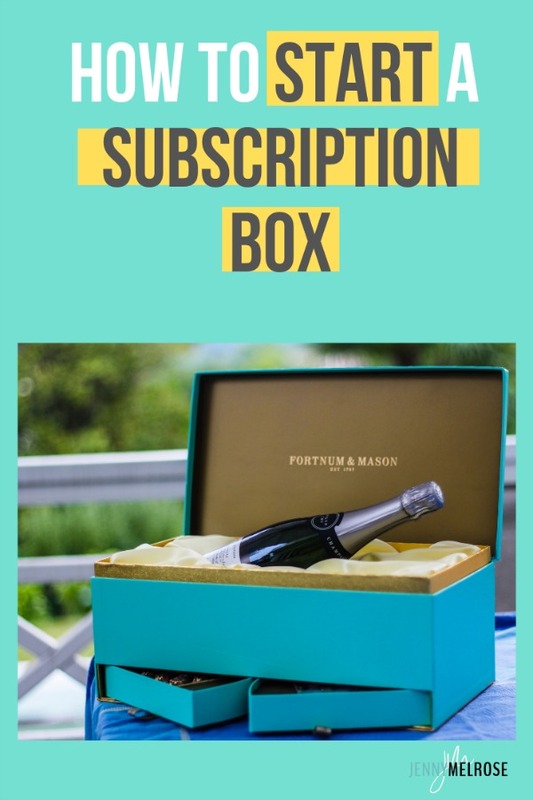 You want to reward them for being an early subscriber to your list and also be sure they get a chance to purchase the box in case you sell out of your first launch. Julie recommends giving them a two-week heads up before you open the sales to the public. This gives them a chance to decide whether or not to buy and to get up, go into the other room, get out their debit card, and actually enter their information. Say you’re in the month of March and you run out of boxes on March 20th, so there are 10 days left in the sales cycle. You are left with 2 choices. You can say you are sold out for the month and get those people on a wait list which not only increases your email list but provides you with more customers to sell to as soon as you relaunch. Or you can reach back out to your vendors and ask for a certain number more of the products and continue selling the boxes for that month. Because of the volume of boxes that Julie does, she now sells until the 16th of every month; they start taking orders for the next month on the 17th; current boxes ship on the 18th. She doesn’t try to scramble and put more orders together. She just uses those days to market the next box and grow her email list. If you find yourself with boxes left over at the end of the month, you can put those in an online shop and market them to your customers as well. Maybe they missed out on one of those specific boxes and they’d like to grab one. Cratejoy has a shop as part of their business and Julie puts any leftover boxes in that shop. 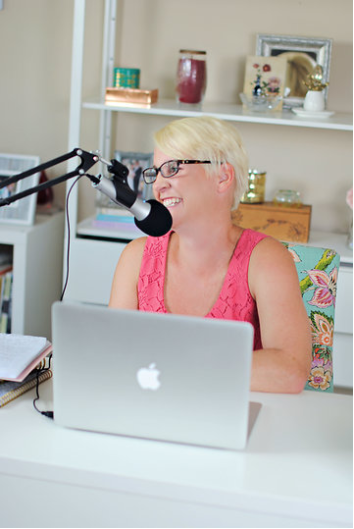 Julie has used Cratejoy as her cart software since she started Sparkle Hustle Grow. This software allows you to set up your selling cycle and renewal date for each month. Julie’s renewal date is the 30th, so on the 30th of every month, Cratejoy automatically renews everyone who is on the month-to-month list. Most cart softwares only do a “one and done” type of service. This is what sets Cratejoy apart, the ability to do a renewing cart every month. The great thing about the renewal type of cart is that it helps you project your income. If you think of some other types of subscriptions, such as replenishment boxes, you have to renew every month to continue getting them. WIth the recurring model, you pretty much know what your income will be moving forward and as more people sign up, it goes up rather than you worrying if the same number of people will buy again this month. Sparkle Hustle Grow does well on both Facebook and Instagram but Julie focuses mainly on Facebook because of her success using Facebook ads. In the early stages of her business, Julie focused on personal interaction in Facebook groups to get things off the ground. Facebook groups aren’t the best place necessarily for that type of thing anymore. Julie also has a referral program that does really well. Some of her referrers do unboxing videos on their own Facebook lives and that typically results in great conversions. What has surprised Julie the most is the reaction to the Instagram posts that show the warehouse. People seem to love the “behind the scenes” look at the huge space, the shelving, the concrete floors, and all the action of packing the boxes. One of the things I absolutely love about Julie is how she is using Instagram stories. When a customer does an unboxing in their own IG story, Julie then shares that on the Sparkle Hustle Grow account story. This allows more people to be exposed to what’s in the box but also, and this is my favorite part, allows you to see who else is getting the monthly box. I have found women entrepreneurs through this that I want to follow and see what their business is and how they’re growing it. If you’re looking for more awesome female entrepreneurs to follow, be sure to follow Julie on Instagram and Facebook. In September of 2019, Julie is hosting a women’s retreat called, Work Hard, Play Hard, in Riviera Maya, Mexico. The vision of Sparkle Hustle Grow isn’t a call to work more and hustle harder. It’s to find a balance between work and play; to remember why you’re doing what you’re doing. It’s to find a supportive community, to empower others and cheer them on. If you could use some support or just some time on the beach in Mexico, be sure to sign up for Work Hard, Play Hard today!